Little, Brown Books for Young Readers, 9780316024549, 448pp. In Emiline's world, there are thousands of species of mice, some rarer than others. 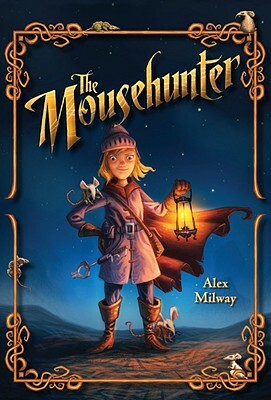 Mousehunters travel the world collecting the rarest and most special breeds, from the wily and deadly Sharpclaw Mouse to the dog-sized Elephant Mouse and the quick-as-lightning Comet Mouse. For Emiline, a mousekeeper in the employ of wealthy Isiah Lovelock, there is no greater dream than becoming a famous mousehunter. So when she is given the opportunity to join the hunt for the legendary pirate Mousebeard, she sets off on the most dangerous, most thrilling, most swashbuckling adventure of a lifetime. The Mousehunter is an extremely accessible, dark and thrilling story, featuring original black & white illustrations, maps and character portraits.